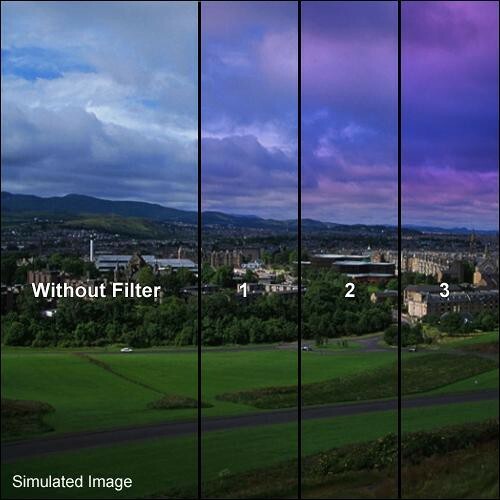 The Formatt 3 x 3" Graduated Twilight 1 Filter is one of the most widely used category of filters. It enhances reality, adding a touch of subtlety or drama to the image. Use for outdoor photography to give a boost to the blue in the image. Good choice for vistas shots where sky is predominantly portrayed.